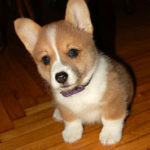 Nearly five years ago, I wrote the very first Daily Corgi blog post. 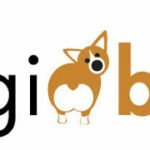 The irresistible Gibson of Corgi Butts fame was the inaugural dog on the blog. This boy has since become the star of a few memorably viral Corgi memes, but I can’t take any credit for that. His winning face and personality, combined with his Mom Kelly’s photography talents and blog, catapulted him into a hundred thousand hearts. Who can resist a Corgi, anyway? Not me. Never could, never will. Which is why I’m still here, five years later, doing the same things I did then. And more. Somehow, five years feels like a major milestone. A time to stop and reflect. As it happens, this five year mark coincides with the loss of a long-time love. A girl I knew I’d miss like crazycakes, and too often feared I couldn’t live without. She came into my life at barely six weeks old and held me a hostage of love for more than eighteen years. A cat who made me into a cat fancier. Before her? Cats were OK, but they just weren’t dogs. And dogs were the bestest, forget the restest, right? Well. Kitten Girl changed all that. First she changed (OK destroyed) the furniture and the drapes, then — with equal aplomb and apparent joy — she changed my heart. She ended up owning it, all but the part that was born to love dogs. I will miss her always, that cat, though her spirit remains with me, having changed my life. She shaped it, sweetened it, and saved it. Yes, that cat saved my life. Like many people (more than you or I will ever really know), I suffer from major depression. So severely that I cannot work, aside from this Corgi work. Which, as it so happens, is lucky for me. Because when little else can get me on my feet, the blog can, the Facebook page can; knowing you are out there needing your Corgi fix, longing for your own little spark of light, perhaps waiting for the healing touch of others’ words when your dog is sick, or has (worst of all) gone on ahead on without you. All that stuff, it matters to me, nearly as much as if your dog were my own. Yes, I am that big of a sap. And proud of it! I am also (clearly) a sucker for being needed. Because, you see, I myself need so deeply. I am unavoidably and imperfectly human. You and me, I figure we more alike than un-alike. That we must hurt and hope in some of the same places, more often than not. And I believe words can bind our wounds, as well as bring us together. I love words. They are little-big miracles. But there was a time, nearly eight years ago, before all these words and all this life-giving work — when I had no work, because I had become so ill with depression I could no longer function well enough to remain employed — that I had Kitten Girl, and because of her I am still here. The Daily Corgi is still here. 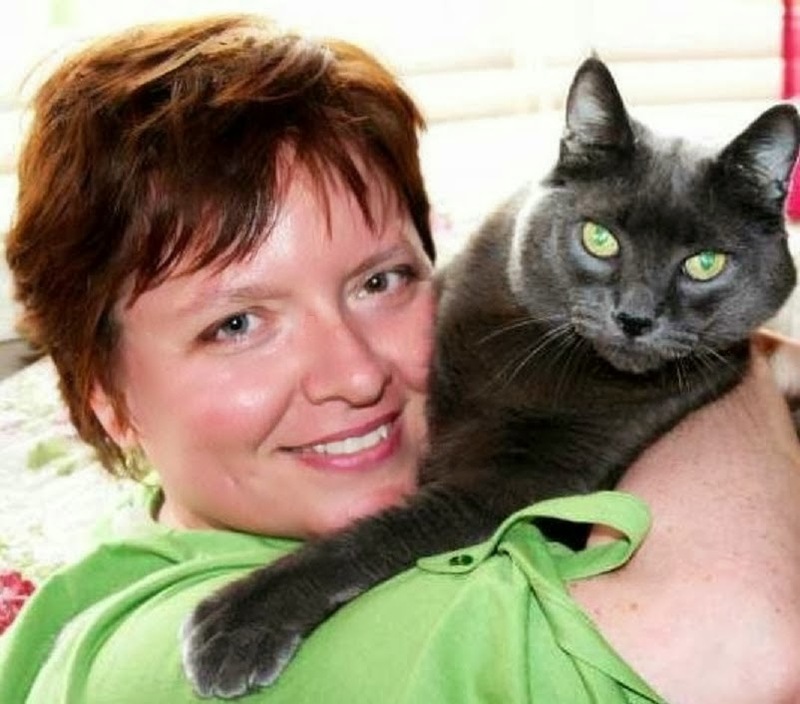 That cat convinced a deeply depressed woman to decide to live. Because I couldn’t break her heart. She mattered that much to me. There would be no way I’d get to heaven — or enjoy it — knowing she was still alive, missing me. So I chose to live, for her. Yes, the animals who love us are worth choosing to live for. I am not the only one who knows this, but I may be one of the minority crazy enough to say it out loud. It’s just the truth. The powerful truth. The animals we love, they are miracles too. 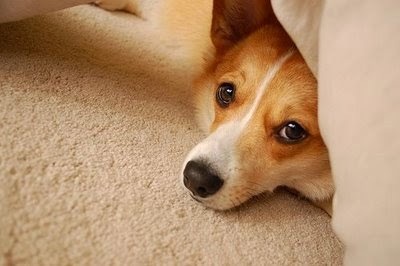 So The Daily Corgi at its five year mark owes much to a single animal, to a cat who hated dogs. Who even hated most other cats. She was not an animal lover, but a people lover, and I was lucky enough to be the person she loved the most. That’s how she saved my life: by loving me. She showed me how much she loved me, when I was there and when I was away. I knew I was needed, and that’s reason enough to get up every day. Five years in … where to now? I need a vacation, though I need this Corgi work as much as ever. I need my girl back. I just broke a molar and need a crown (the tiara package, please). I need a date with George Clooney. It is, simply stated, one day at a time right now. Some things I’ll get, others I’ll wait on. After all, there is still a chance George will change his mind. I ask you to join me in my moving forward, not entirely sure where things will go from here, only knowing that they must continue. Because The Daily Corgi is a part of who Kitten Girl was (she would deny that), and you are a part of what the Daily Corgi is. The people who read and follow me and share their satisfactions and sorrows with me, they are reason enough to get up and write and check in and care, even when I miss that cat so badly I can hardly stand it. Because this is keeping her alive. And she, once again, is keeping me alive. Your support means more than ever now. There is so much work to be done, so many e-mails unread, so many dogs waiting for their turn on the blog. I know — this is a familiar refrain — but it looms so large right now. Grief is a strange place, and a scary neighborhood to travel alone. I ask for your patience, your understanding, and I ask that you keep coming back, even if I don’t post your photos or answer your messages promptly. Or at all. I have everything saved, it’s all waiting there to be delved into. At the end of two-plus years of singlehandedly keeping an old cat with kidney disease alive and trying to rev the blog at high gear to raise ad revenue for the hundreds of dollars of medicine she needed every month, I am tired. Grateful, but tired. And I’m not going anywhere. The engine might just be on idle more often than usual for a time. Your support comes in so many forms. I love the photos you send. They make me smile! I love being included in your picnics, your parties, your pool time with the dogs … post those photos! Send them in. I need to see all that juicy life being lived, in the joyous presence of Corgis. If you can make more of your amazon.com purchases through the blog (look for the search box on the right hand sidebar), that will help too. I get a small commission percentage on sales made through searches begun through the blog. I no longer have Kitten Girl’s medicines to pay for every month, but there is that tiara (erm, crown) to be seen to. And talk of a bridge. Middle-age dental type stuff. I love being forty-something. Mostly! And pssst, if you would ever like to send a dollar or two to the Daily Corgi kitty (pun intended! ), I will not decline a gift like that. The Daily Corgi is the only work I do, and the dividends are many — but the overall income is pretty paltry. I still fight the depression and cannot work more than I do, but I am public with this struggle because too many people fight it. Silently, and not always successfully. There is life with treatment for depression. There are reasons to hold on. I promise. With all my heart, I promise. You can reach me (and/or PayPal me a donation) at thedailycorgi@gmail.com. In whatever way you wish to support me and my work and the spirit of Kitten Girl that sustains me in that work, I welcome it. Or you can simply write to say hello. A hello is always good. 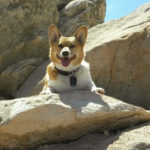 Blue Ribbon Blogger: Corgi Butts! Congratulations on your milestone of 5 years. I am sorry it had to coincide with such a sad and difficult time in your life. It will get better, I promise. Losing my first Cardi after 17 years taught me that. PS My blog is celebrating 5 years as well! Somehow it didn't catch on quite as well as yours did. LOL! Congrats on your 5 years Laurie. I along with so many others look forward to The Daily Corgi on a daily basis. It makes me laugh, it makes me cry but most of all it makes me smile and be happy. I am so sorry for the loss of Miss Kitty. You gave her many wonderful years. Hang in there and take your time through this difficult time. We have loved you since you first let us tell you all about our little Jozi girl and even though I do not frequent or post on the FB site, I do like to drop in every now and again to see what you have up your sleeve and all the corgis that make me smile. I believe that Kitten girl also was there to save you and to ♥ you. 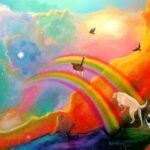 Our fur kids are some of the most important parts of our lives and they are inspirational, as Kitten Girl was for you. We send our love and Jozi sends tons of smooches to her Laurie Girl! This blog entry certainly tugged at my heart strings. I've suffered with bipolar disorder for most of my life. I know depression is a difficult road to travel alone. I too find solace in the unconditional love of animals. I appreciate and adore all the work you do. I'm deeply sorry for the loss of Kitten Girl, I love how you are keeping her memory alive though. I know she is looking down with smiles. I'll gladly make another donation. Sorry it isn't much as I am now a Stay At Home Mom to my 2 corgi babies (Daisy and Lilly) and my human baby Evie. Keep up the great work, I wholeheartedly believe in karma. You put out so much love and positivity that it will all circle back to you. Thank you, everybody, for your comments. I so appreciate them! !